Purchased Polk Audio 6½" Co-Ax for $30 - Must have been a closeout. 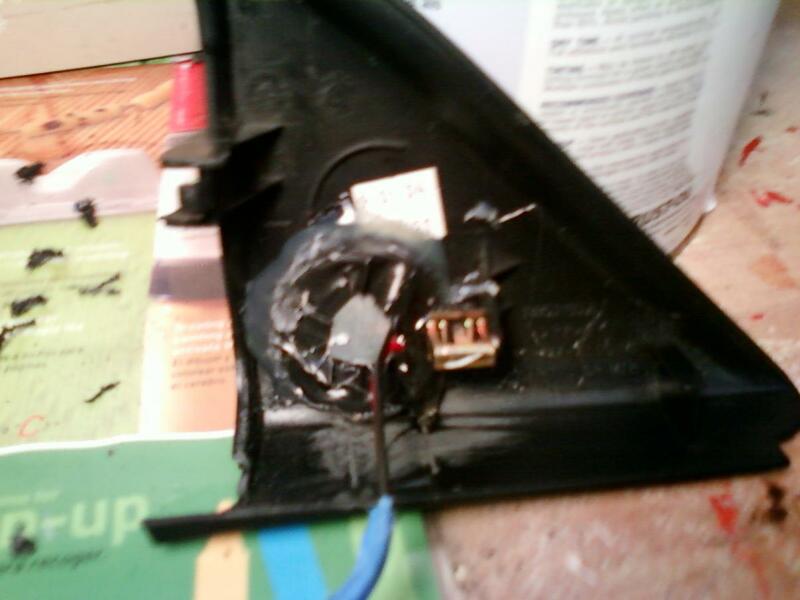 Just used the factory (crappy wiring) cuz I'm not going to change my factory stereo. It's just too expensive, and I don't like the aftermarket install kit;s appearance. 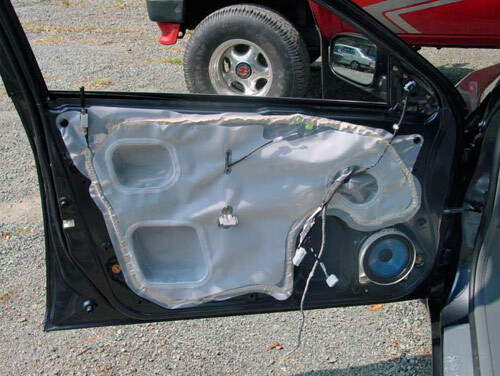 Hey Member..as long as it doesn't flap around in there and make that sound like saran wrap, then you did a good job..
next step is foam weatherstripping to recreate the factory seal to the door panel. 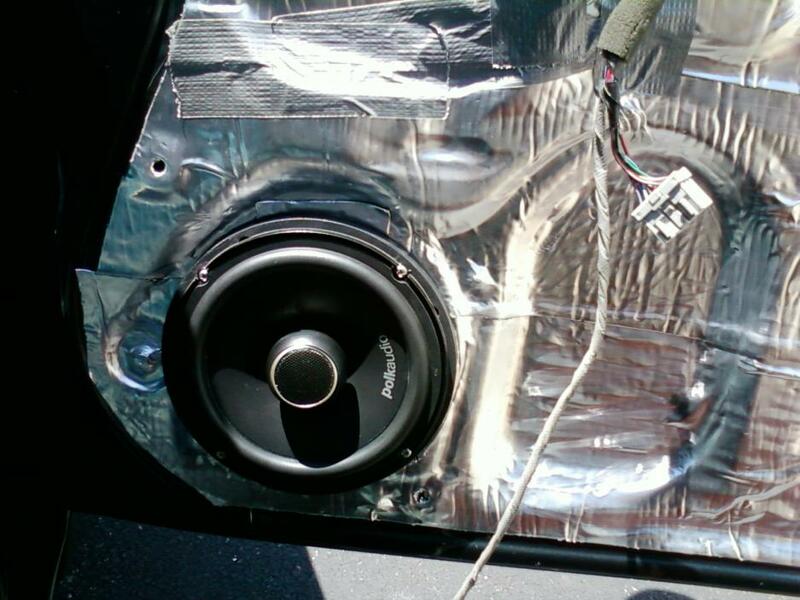 that seal is crucial for midbass since the door panel is the front of the speaker enclosure (due to the large holes in the door). The hole in the door doesn't affect the mid-bass too much. 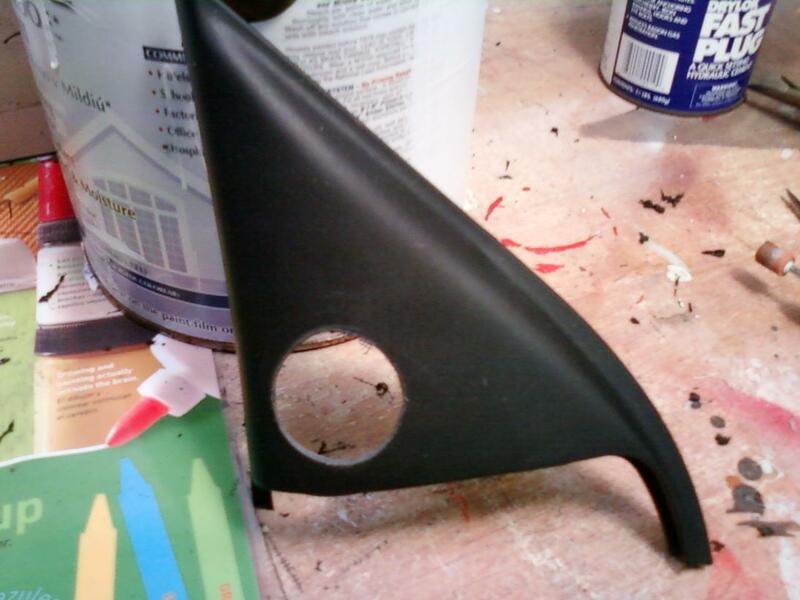 But for good measure, I will glue a big piece of foam rubber around the hole on the inside door skin. The Mid-bass included the component set are quite a bit larger than the Polk Co-Axs, so I had to get a larger diameter mounting ring. I used my Dremel to make a hole enough for the tweeter face to be exposed. Spray adhesive was used to glue a piece of fiberglass screen (like your screen door to your house) to protect the tweeter dome. It's incredible how much digital photography exposes all the imperfections! This triangle looks A LOT better with a naked eye. Sound Stage is slightly forward, but I plan to install a center channel. That should make the stage: Front and Center. Last edited by GMANCRX; 08-09-2013 at 12:45 PM. 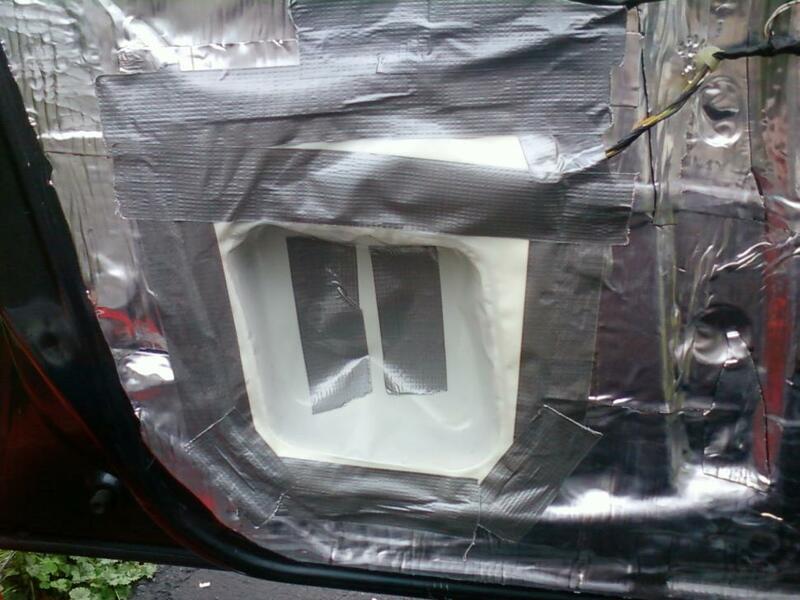 Did it a little differently on the driver's door. The passenger door was the guinea pig. 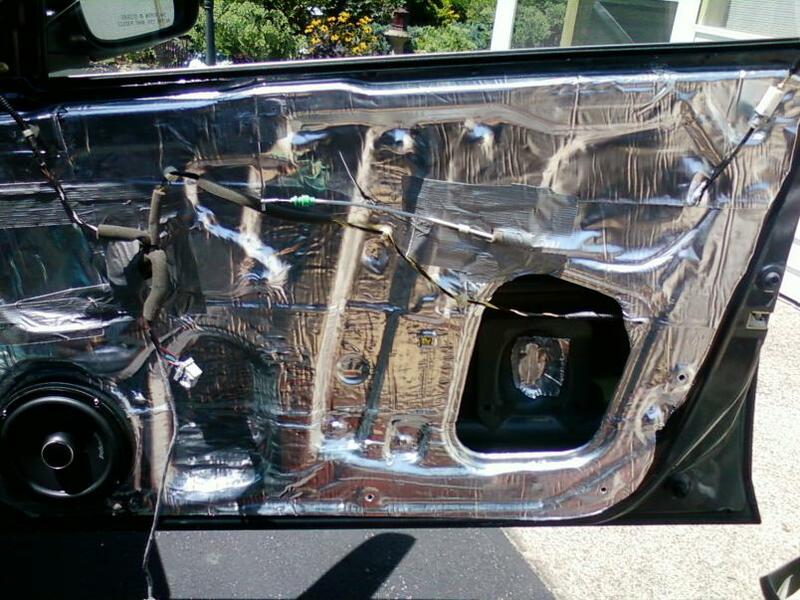 I'll go back and do the same to the passenger door when I get a little extra time. 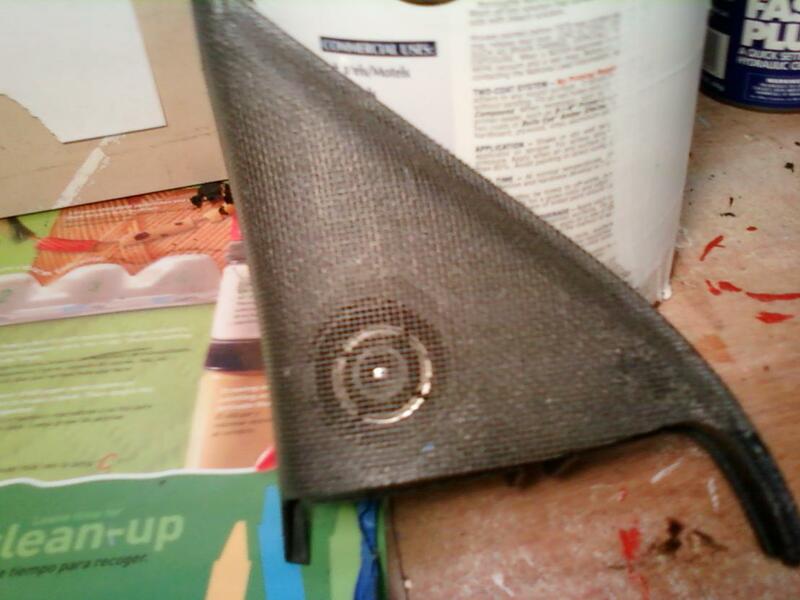 the sail panels turned out pretty nice! well done. those sail panels are very nice. I think if I ever do it again I will go that route. I like how the tweeter is hidden. Nice! 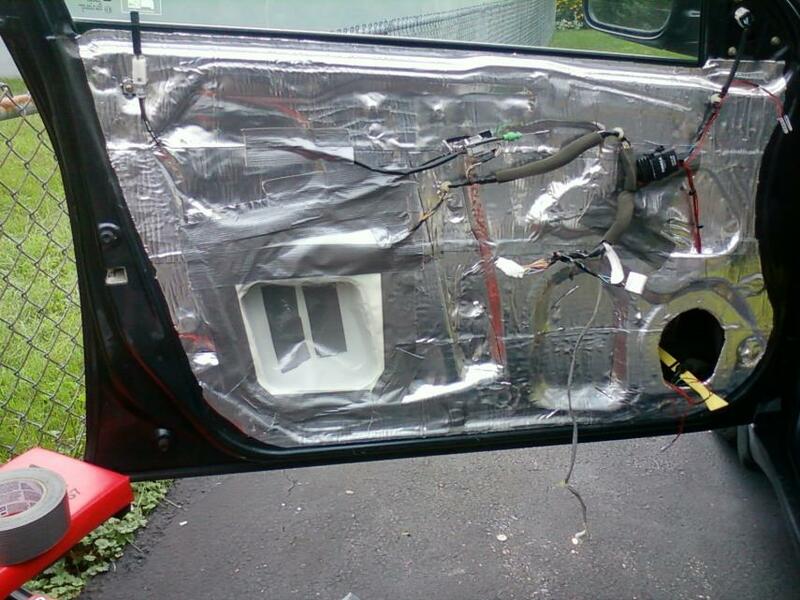 I am going to try the door deadening on Wednesday and appreciate the photos as I have the same year Accord. What is the white material you used for the large hole? 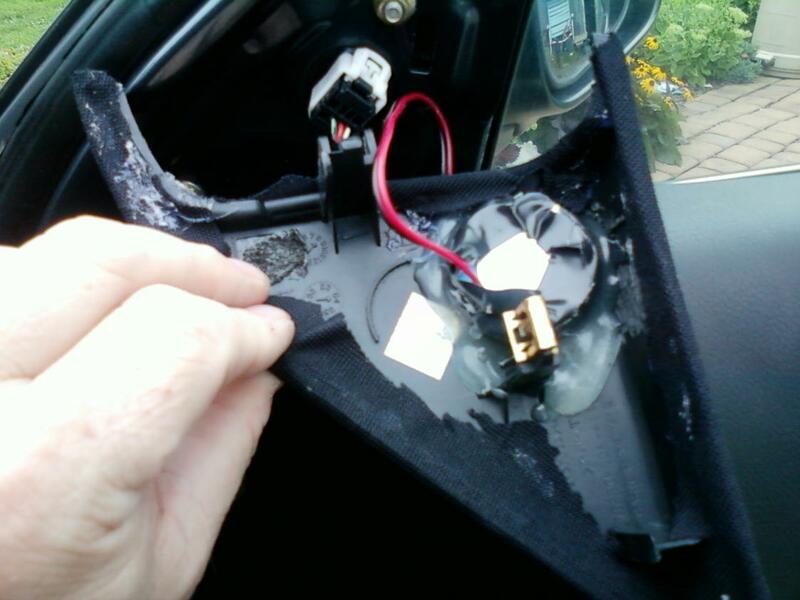 I used the factory "vapor barrier" ... Before I removed it entirely, I marked the plastic where I could reattach it. Cut it out and after the Peal & Seal was applied, I duct tapped the little pocket in place. I applied some more duct tape on the surface of the pocket to deaden the sound somewhat. 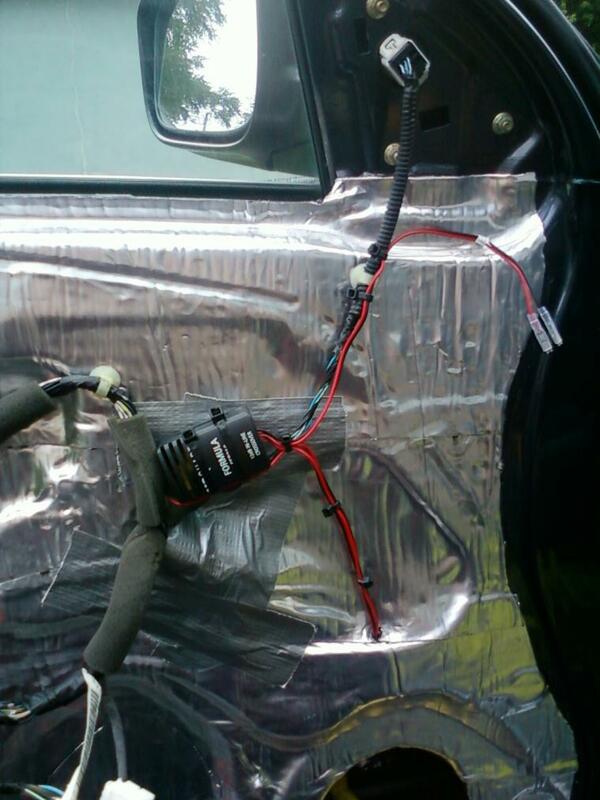 It resonated / buzzed at certain frequencies when I tested the mid-bass prior to door panel installation. 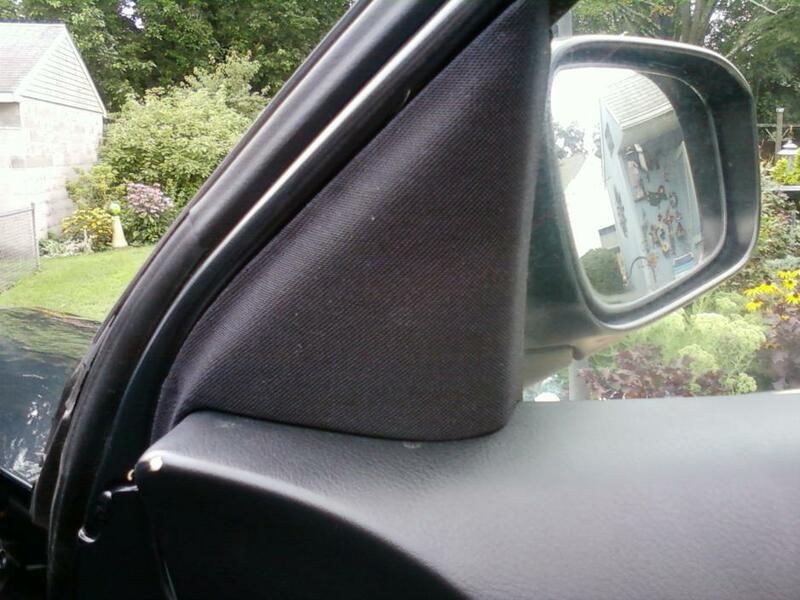 personally, i prefer using something rigid to close up the hole to increase rigidity of the door panel and reduce the "drum head" effect that limp mass can have. course, if you get lucky it acts like a passive radiator.